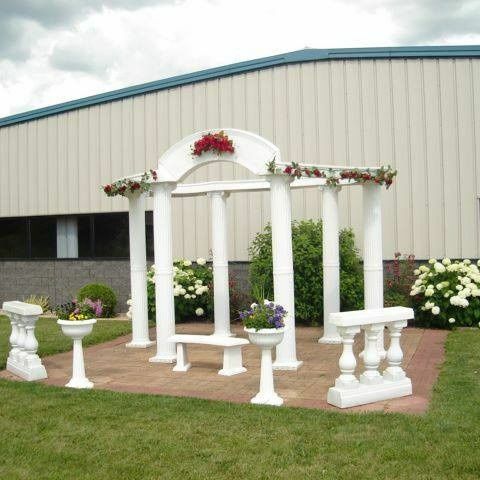 Crystal Falls Banquets & Catering is a premier wedding venue located in New London, Wisconsin. 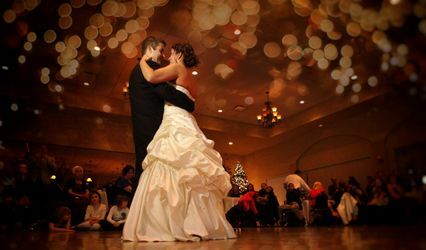 The spacious restaurant and banquet facility is the ideal location to host the wedding celebration of your dreams. 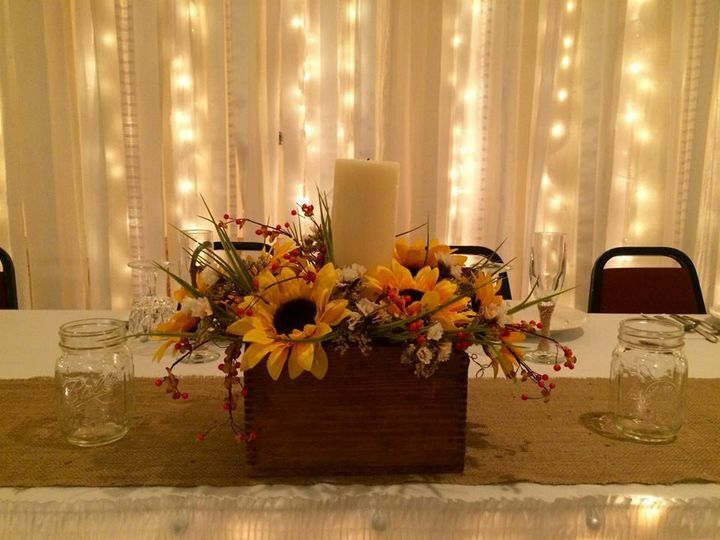 At Crystal Falls Banquets & Catering, the talented event specialists will be with you throughout every step of the wedding planning process, ready to take care of all of the wants and needs you and your guests may have on your special day. 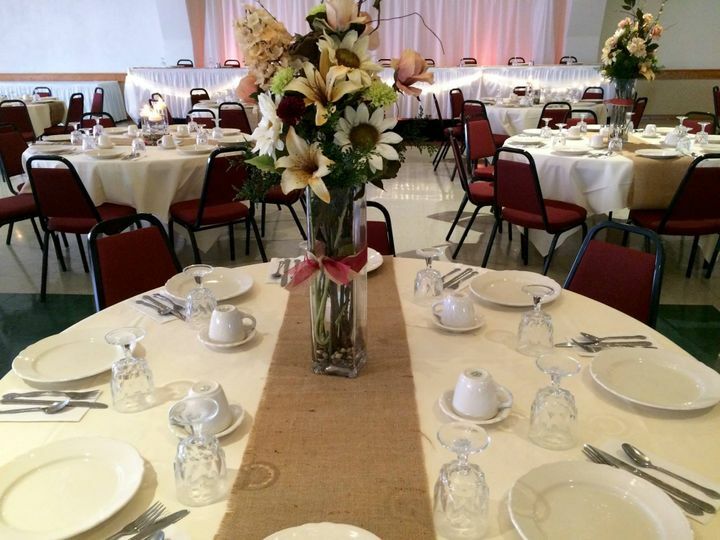 Crystal Falls Banquets & Catering can accommodate up to 1,200 wedding guests in its large indoor event spaces. 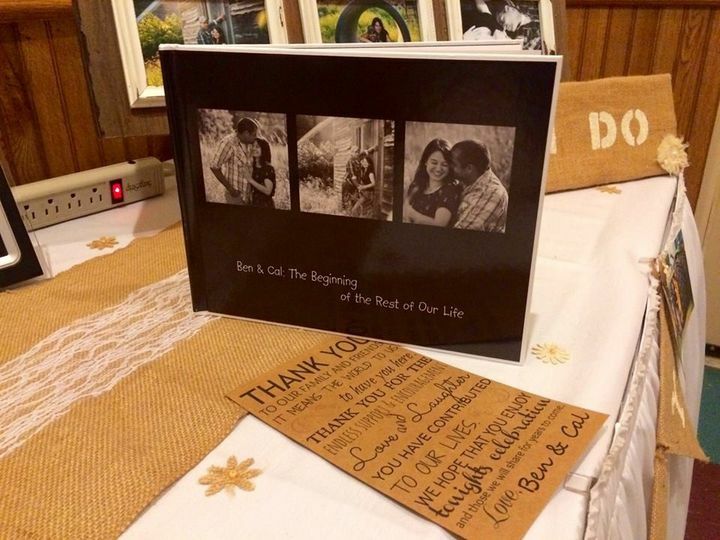 There are several locations within the restaurant and banquet facility where couples may host the intimate or grand celebration they have always envisioned. 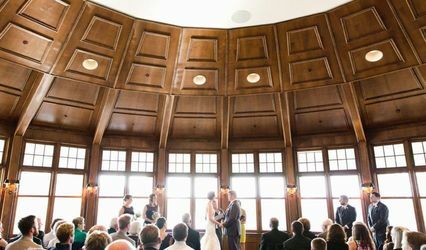 Crystal Falls’ Ruby Hall and Niagara Hall can be separated into two smaller event spaces, or for a larger celebration they may be opened up to seat more guests during your ceremony and reception. 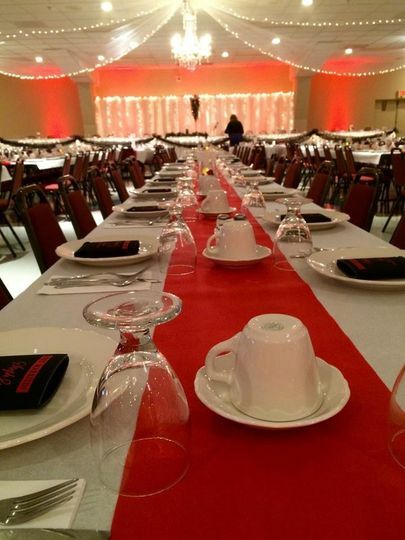 Crystal Falls’ provides tables and chairs, drapery, decor and centerpieces for each event they host within their banquet facility. 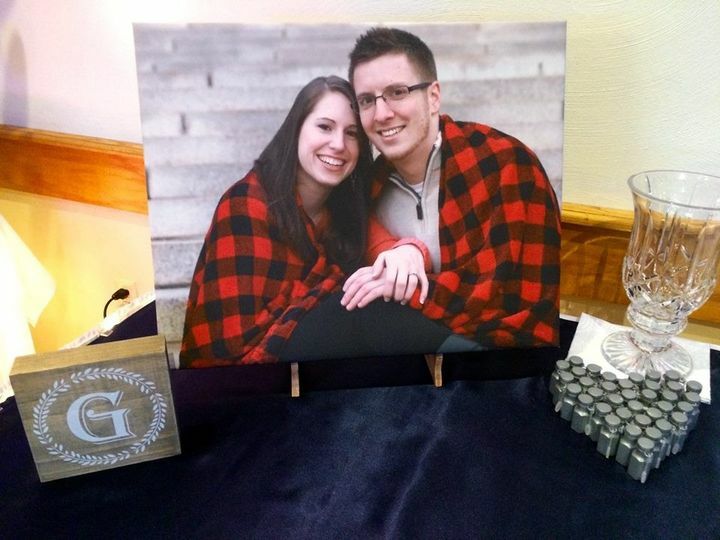 They also provide barware, flatware, linens, china and glassware during cocktail hours and wedding receptions. 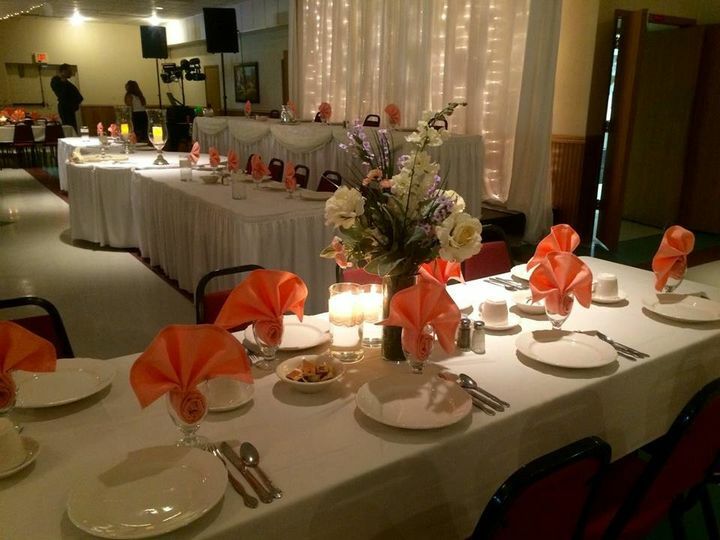 Crystal Falls Banquets & Catering is a full-service wedding venue that is available for hosting a number of wedding celebrations, including engagement parties, bridal showers, rehearsal dinners, ceremonies and receptions, as well as elopement ceremonies. The venue’s event services include event planning, event rentals, in-house catering and bartending, and liability insurance. 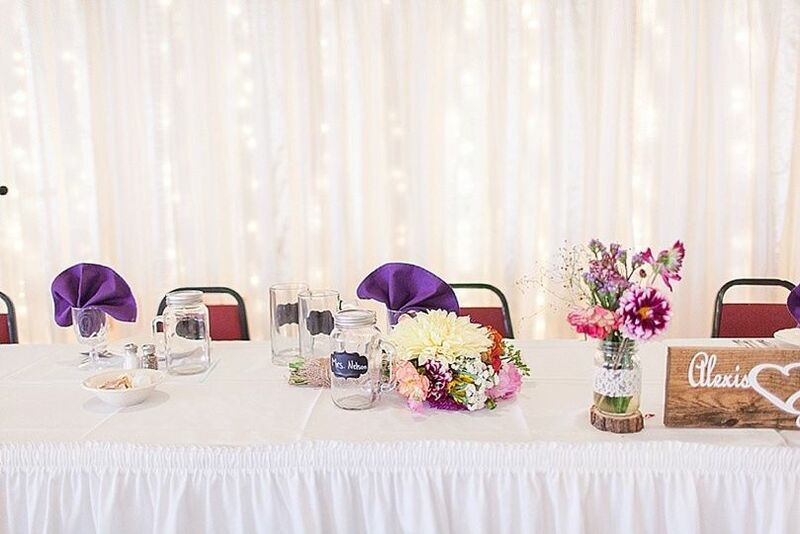 On the day of your wedding, event staff at Crystal Falls Banquets & Catering will be on hand and ready to assist you with setup and cleanup, from the moments before you exchange your vows to after the last rose petal is thrown following your reception. 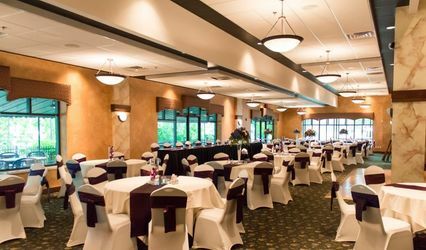 Crystal Falls Banquets & Catering is a wheelchair-accessible wedding venue that offers ample parking to couples and their guests on their special day. Everyone was great to work with. The beef tips were wonderful! Would have liked to have at least paper plates to serve cake vs napkins. I would recommend them to others. 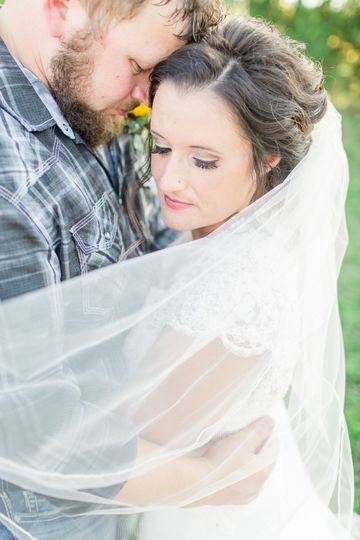 I adore working with Crystal Falls! Great service and staff!